Thank you for visiting our website. Please fill out the following form to provide feedback about our site or just say hello. When you are finished, click the ‘Send Now’ button to send us your message. 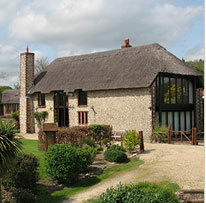 Champernhayes Cottages are half mile north west from the Dorset village of Wootton Fitzpaine . Champernhayes is best reached via. Axminster or Bridport. Before travelling to Champernhayes, we suggest that you check out www.streetmap.co.uk where you will find Champernhayes (postcode DT6 6DF) marked on the Ordnance Survey map.